Seasonal workers from Tonga are able to enjoy church services in their native language and close to their current work site, thanks to an initiative underway in the Firle Stake. 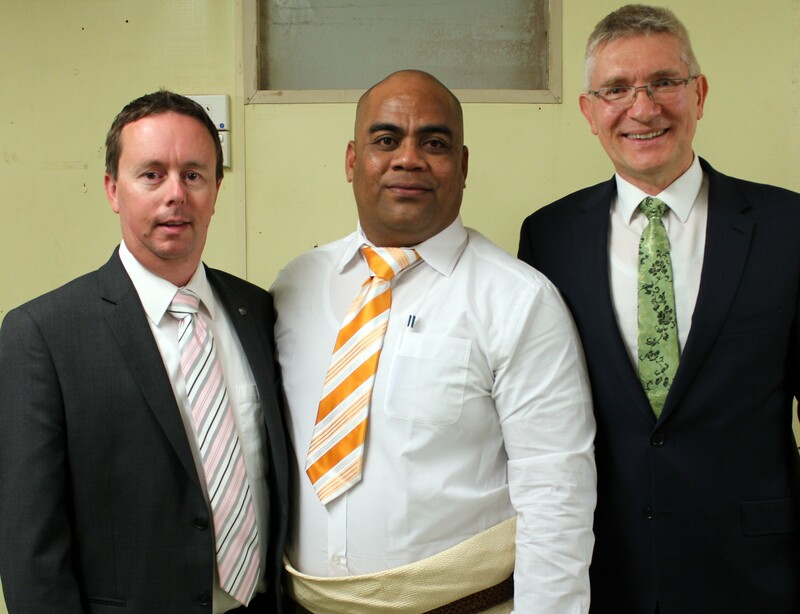 The Berri Tongan Group was created within the Berri Branch of The Church of Jesus Christ of Latter-day Saints to serve the needs of Tongan workers on a fruit property at Bookpurnong, between Berri and Loxton in South Australia’s Riverland. Group meetings began on Sunday 29 October 2017, with an evening sacrament service attended by 80 people. The Tongan fruit workers typically spend six to eight months away from home and family. Many speak little English and their numbers are too great to travel to attend the local branch in Berri. Many had not had the opportunity to attend a Church service and partake of the sacrament for up to six months. Visiting Church leaders at the special event were Rainer Korte, Adelaide Firle Stake President, and Ian McKay, Berri Branch President. President McKay recognised the benefits to these church members living so far away from home. “Having the opportunity to partake of the sacrament each week will be a wonderful blessing to group members,” he said. A highlight of the first Church service was the beautiful singing of the Tongan members, which was inspiring. President Korte welcomed all those in attendance as part of the Firle Stake and referred to the words of the Apostle Paul to the Ephesians, “Now therefore ye are no more stranger and foreigners, but fellow citizens with the saints, and of the household of God” (Ephesians 2:19). He invoked God’s blessings to be upon all in attendance and their families back in Tonga as they live according to their faith. How wonderful! I love the creativity and initiative of the Firle stake in finding ways to serve all people in ways that benefit individuals and their unique circumstances.